Listing Office: E&V Ranch And Coast, Inc.
Buy the Best that Heatherwood has to offer! Take advantage of the many upgrades. Gorgeous kitchen complete with Granite Counters, Tile floors & Back splash, Stainless Steel Appliances, which opens to Family Room, Decorative Colors, Abundance of windows, Vaulted Ceilings. (Bedroom, Full Bath & Laundry Room downstairs) Spacious LR & Formal Dining room. Great floor plan! Close to schools and shopping! Conveniently located! SchoolsClick map icons below to view information for schools near 11685 Lindly Ct San Diego, CA 92131. Home for sale at 11685 Lindly Ct San Diego, CA 92131. Description: The property at 11685 Lindly Ct San Diego, CA 92131 in the Heatherwood subdivision with the MLS# 190020005 is currently listed for $849,900 and has been on the market for 5 days. 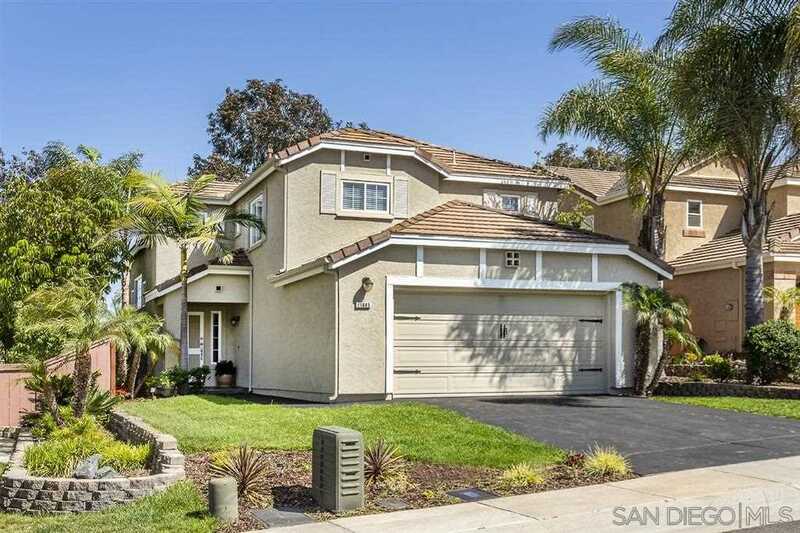 You are viewing the Sandicor listing details of the home for sale at 11685 Lindly Ct San Diego, CA 92131, which features 4 bedrooms and 3 bathrooms, and 1961 sq.ft. of living area.